We get asked all sorts of questions here at reddwarf.co.uk. "What's a Red Dwarf?" "What's happening with the Red Dwarf movie?" "Have you got Chris Barrie's phone number?" 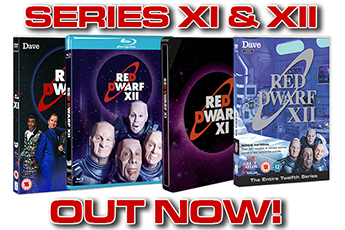 But of late, one particular question has dogged us more than any other: "When are we going to get to see some of Red Dwarf X?" And finally, we've got an answer for you. 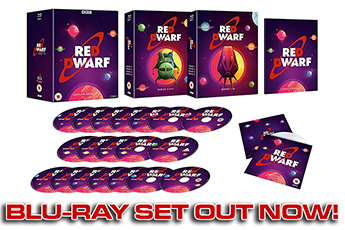 If you head over to the Dave website or Dave's Facebook page you'll be able to see the first exclusive sneak peek of Red Dwarf X. Just under a minute of the first new Red Dwarf footage since 2009, guaranteed to put you in maximum excitement mode in anticipation of the new series airing on Dave this Autumn. 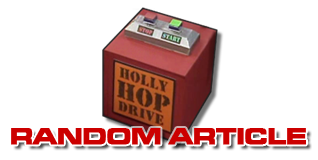 Dave will be releasing something new and Red Dwarf X-related every Friday, so keep checking out their site - and, of course, your humble reddwarf.co.uk - for even more! Discuss the new trailer on the Forum, or on Twitter with the hashtag #reddwarfx!